Product prices and availability are accurate as of 2019-04-12 02:55:27 EDT and are subject to change. Any price and availability information displayed on http://www.amazon.com/ at the time of purchase will apply to the purchase of this product. 1000 watt metal halide flood light - 110,000 lumens - slip fitter mount - 120~277 Volts AC (-multi-tap 120-277-slip-fit). made in the USA the powerful and efficient mhfl-1000w metal halide light fixture from Larson Electronics produces 110,000 lumens of light in a wide flood pattern, is wet area rated and ideal for illuminating work spaces and open areas on a large scale. This attractive metal halide fixture from Larson Electronics is weatherproof and suitable for use in wet areas, making it an ideal lighting solution for parking lots, small fields, building exteriors and outdoor work areas. 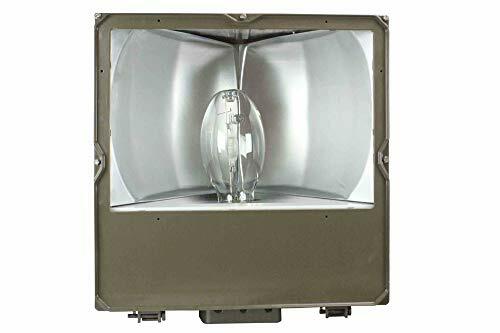 The lamp housing is constructed of die cast aluminum and features an Anodized aluminum reflector, captive held lamp door, separate ballast compartment, stainless steel hardware and an attractive Polyester powder coat finish. This unit is multi-voltage capable with an integral quad voltage ballast that is isolated within the housing. 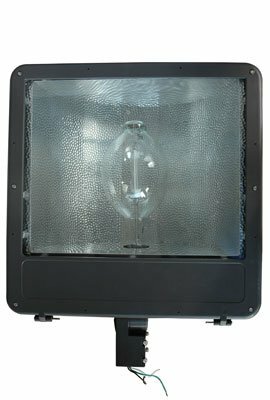 1000 watt metal halide floodlights are also popular for use in hazardous locations and we carry a variety of such units. Please contact us using the information below for more information on hazardous location metal halides. The mhfl-1000w is a metal halide floodlight producing 110,000 lumens of illumination that is U.L approved for use in wet areas and provides a versatile lighting solution for a wide variety of industrial and commercial applications. This fixture is weatherproof and combines rugged durability with an aesthetically pleasing exterior and highly efficient performance. 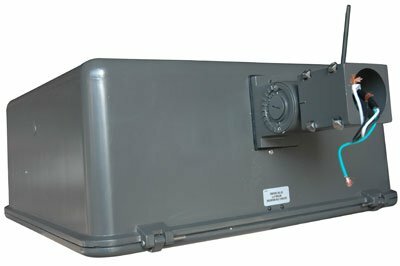 The mhfl-1000w offers two mounting choices, a pole top slip fit mount which will accommodate 2 inch or 2 1/2 inch pipe and a trunnion type yoke bracket mount which offers the ability to attach the fixture to flat surfaces and walls. 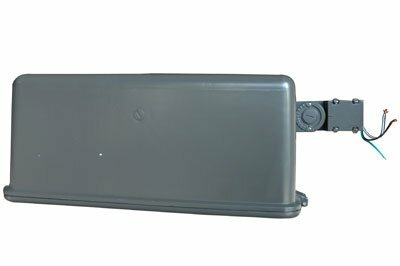 The ballast contained within this fixture is multi-tap and allows operation with current of 120, 208, 240, and 277 Volts with 80Vand220V optional also available.